Governments in Europe and North America want to harness information and communications technology (ICT) to boost productivity and innovation, but uncoordinated strategies and incompatible regulations make it difficult for them to benefit fully from the mutual gains that would come from greater transatlantic cooperation in the development and use of ICT. 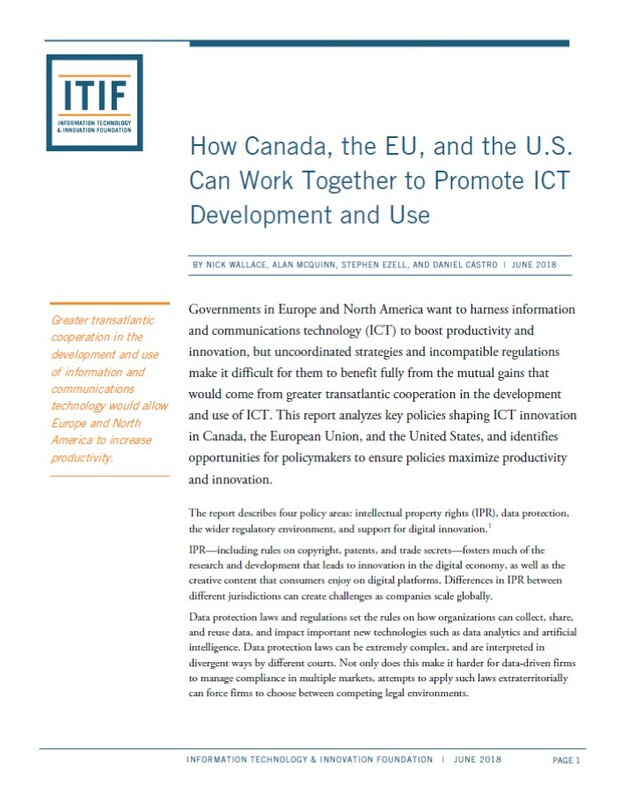 This report analyzes key policies shaping ICT innovation in Canada, the European Union, and the United States, and identifies opportunities for policymakers to ensure policies maximize productivity and innovation. This report uses a rigorous imagining approach to develop an alternative way of organizing learning in Europe whereby the traditional school system no longer plays a significant role. This study shows that, on the basis of phenomena already present in Europe today, it is possible to invent a discontinuous model of how people learn and how what they learn is used in everyday life. At the core of this model is a carefully elaborated idea of learning spaces that encompass new ways of ensuring that people have the capacity to control, direct, share and deepen their knowledge throughout their lives. These multi-dimensional learning spaces are imagined as operating in a systemically different economic and social context. One where non-technocratic, non-hierarchical learning is central to the production of local well-being and community based identity. “School’s Over” is meant to challenge both the functional and organizational assumptions that currently dominate, often implicitly, the choices being made today. Schooling is changing as much as society is changing. Except that society goes faster, and schools are traditionally slower to accept and incorporate novelties. The digital divide is now present at a new level: networked teachers vs. “the others”. In other terms, the networked teacher might sometime feel isolated in his/her school, but at the same time, has thousands of colleagues online as a sounding board. We do not know what society will look like next year; and thinking ahead to 2025 makes your head spin. From this point of view, the effort of this book to foresee scenarios in more than 10 years’ time is amazing and stimulating. No matter how different we shall all be in 2025, one thing can be regarded as certain: we shall all be more connected. Or, rather, more networked. This book provides data, analysis, scenarios, reflections and evidence that education can change, and, to certain extent, has changed and it has become more connected. 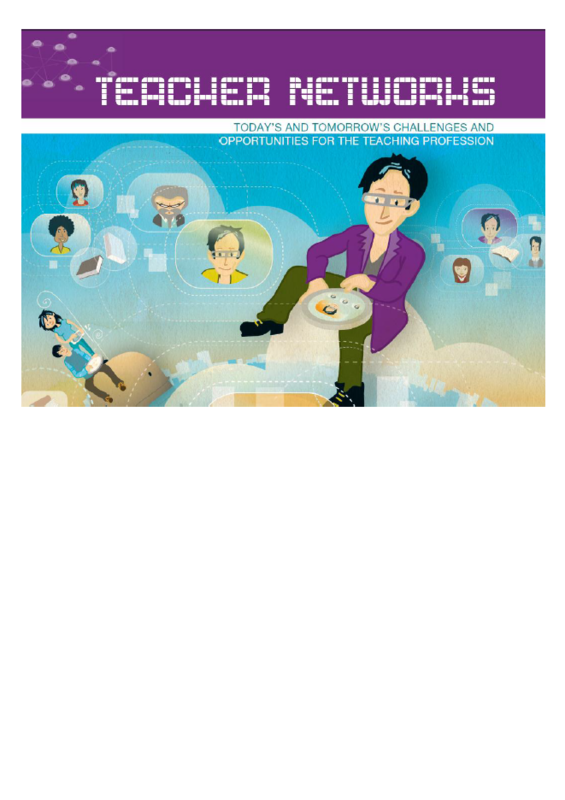 In spring 2013 the Institute for Prospective Technological Studies (IPTS) called upon experts and practitioners to come up with visionary papers and imaginative scenarios on how Open Education in 2030 in Europe might look like in 2030, with a major focus on Open Educational Resources and Practices. Three calls for vision papers were launched, one in each of the areas Lifelong Learning, School Education and Higher Education. This publication presents all papers submitted to the School Education call. Each paper is different in form, focus, content and style, but all of them raise important issues when thinking about "opening up" education. 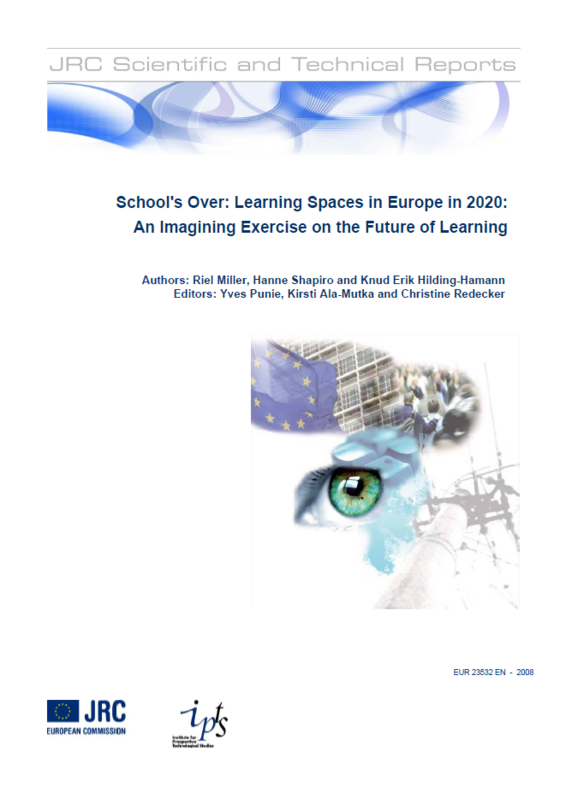 In spring 2013 the Institute for Prospective Technological Studies (IPTS) called upon experts and practitioners to come up with visionary papers and imaginative scenarios on how Open Education in 2030 in Europe might look like in 2030, with a major focus on Open Educational Resources and Practices. Three calls for vision papers were launched, one in each of the areas Lifelong Learning, School Education and Higher Education. This publication presents all papers submitted to the Lifelong Learning call. Each paper is different in form, focus, content and style, but all of them raise important issues when thinking about "opening up" education. 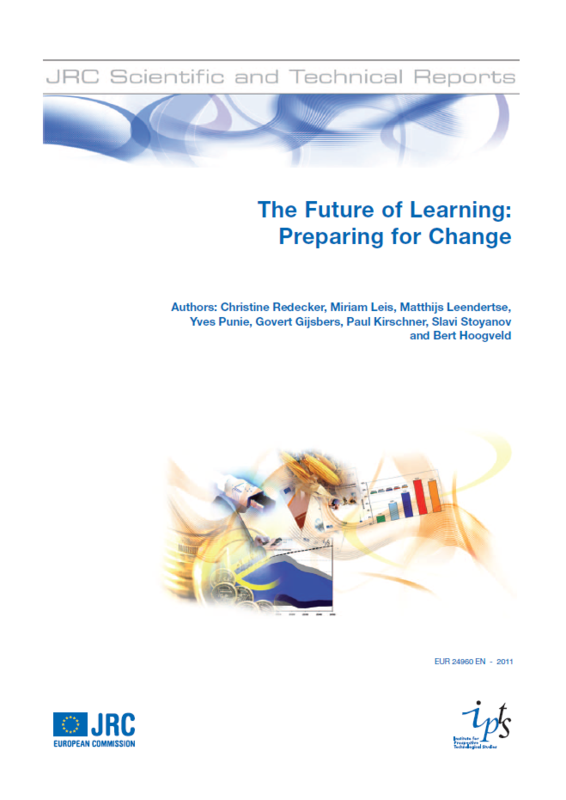 This report aims to identify, understand and visualise major changes to learning in the future. It developed a descriptive vision of the future, based on existing trends and drivers, and a normative vision outlining how future learning opportunities should be developed to contribute to social cohesion, socio-economic inclusion and economic growth. The overall vision is that personalisation, collaboration and informalisation (informal learning) are at the core of learning in the future. These terms are not new in education and training but will have to become the central guiding principle for organising learning and teaching in the future. The central learning paradigm is thereby characterised by lifelong and life-wide learning, shaped by the ubiquity of Information and Communication Technologies (ICT). At the same time, due to fast advances in technology and structural changes to European labour markets that are related to demographic change, globalisation and immigration, generic and transversal skills become more important, which support citizens in becoming lifelong learners who flexibly respond to change, are able to pro-actively develop their competences and thrive in collaborative learning and working environments. 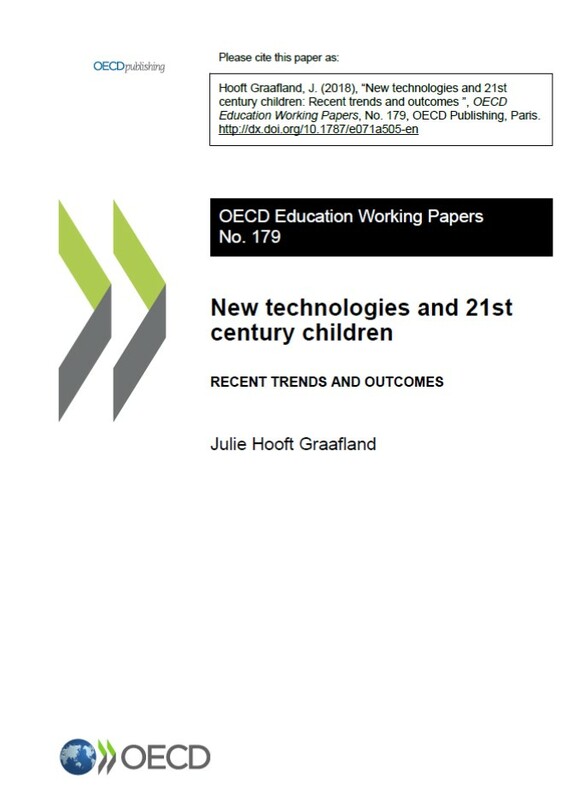 Many of the changes depicted have been foreseen for some time but they now come together in such a way that is becomes urgent and pressing for policymakers to consider them and to propose and implement a fundamental shift in the learning paradigm for the 21st century digital world and economy. To reach the goals of personalised, collaborative and informalised learning, holistic changes need to be made (curricula, pedagogies, assessment, leadership, teacher training, etc.) and mechanisms need to be put in place which make flexible and targeted lifelong learning a reality and support the recognition of informally acquired skills.